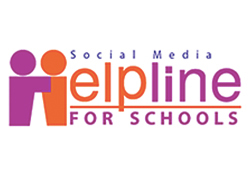 New helpline piloted to offer support and education to schools in California. The sooner you teach your kids the good habits of digital citizenship, the more likely those lessons will stick. The real work of teaching appropriate online behavior starts at home. Know what your children are doing online and help your children navigate social media respectfully to ensure (as best you can) that they don’t become a cyberbully. Tips and resources for cyberbullying prevention. It's remarkable how deeply embedded Autism Spectrum Disorder is in the world of tech, and how technology is helping to make a huge difference in the lives of people who live with it each day. Your kids may be more aware of your online time than you think. Keep privacy and security in mind as you head off to college. Seeing bullying or harassment online can be troubling, but you can take action to address and prevent future incidents.